How do you help a timid child be bolder and more willing to try new things and engage with new people? How do you go about building confidence for children beyond encouraging them to "be brave"? 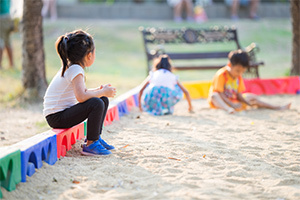 These questions can trouble parents, teachers and caregivers who see that a child seems scared to get involved in things, or worried about talking to people, even other children. Not engaging, for whatever reason, can lead to a child becoming isolated, or falling back in their development, and just not having as much fun as a kid should! Of course, every child is an individual, and their personality and temperament may be naturally shy and reserved. Not everyone is outgoing and boisterous, and that doesn't mean they have a problem. Adults who care for children need to be sensitive to these differences. But children, like adults, can also come under negative influences that make them shrink back, regardless of their natural temperament. There are innumerable resources available for adults who feel they lack confidence, but a child may not even know how to describe how they feel, never mind find help. Adults who seek to help them can find loads of advice on parenting skills, but, great as these may be, they focus on what the adults do. There is very little that a child can use, for themselves. Confidence for Children is an audio session created especially for young children. Children love nothing more than a good story, and a good story is the most powerful learning aid there is. The audio consists of an entertaining story full of magical elements that a child can recognize and relate to. There is no moralizing or preaching – just fun! But the essential principles of true confidence are embedded in the story, and the listening child will easily pick up and absorb these principles while enjoying the story. And because children love nothing more than a good story unless it's hearing the same story again, there will be plenty of opportunity for them to embed these principles even further. 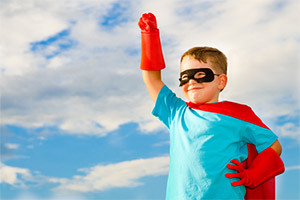 Download Confidence for Children and boost your child's self-assurance. You can listen on your computer or device or via our free app which you can access when you have completed your purchase. Confidence for Children has been purchased by 524 customers.